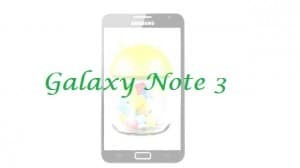 Samsung is preparing the launch of the next Galaxy Note device of the already famous phablet series. By now there have been a lot of rumors speculating how the Note 3 will look like and what it will have under the hood. So we decided to gather all these rumors in one article and wait to see what is true and what not. Release date: Based on speculations and the fact that the previous Note was launched in Q3 of last year, we can expect the third version to be launched sometime in September, probably at the IFA show in Berlin. Screen Size: As this should be a phablet, we can expect Samsung to choose a display anywhere between 5.5 and 6.5 inches. So far, the Note 3 is most probable going to have a 5.99 inches large screen, larger than its little brother, full HD 1,920×1,080 Super AMOLED. Performance: The Note series always had the best pieces under their hood, so we can expect this one to run on an Exynos 5 octa-core CPU with a Mali 450 octa-core GPU. The RAM memory is also expected to increase up to 3 GB. Build: Samsung latest concern is the fact that people are getting tired of the plastic build that they use in their devices. So there are some suggestions that this time they will switch to metal cases. That would be one of the greatest changes for Samsung as they never used that in their smartphones. That’s about all that we know for now about the Galaxy Note 3, but if you know something that we don’t please feel free to share that thought with us and our readers.